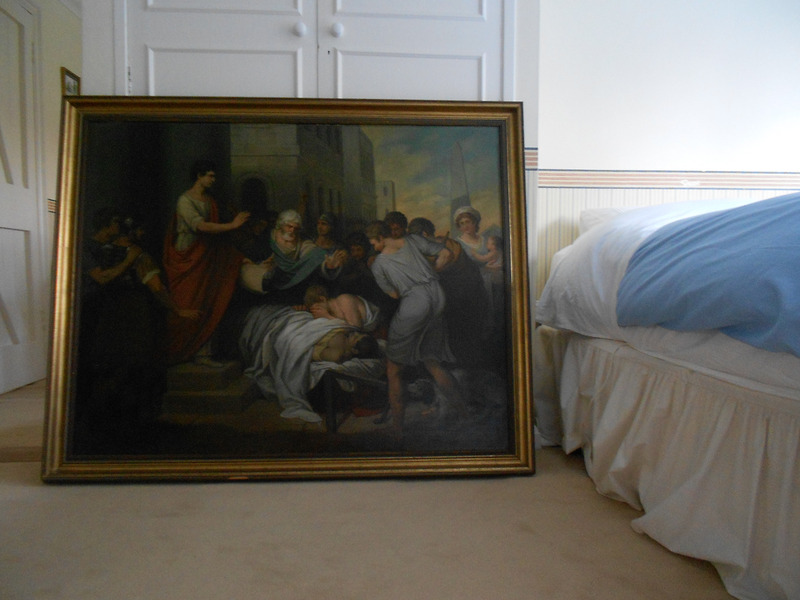 Item: ‘Mark Anthony speaking to the Romans over the dead body of Julius Caesar’ It’s been in our family for over 100 years and was in the Royal Academy in 1789. There are so many lovely details so you see something new every time, I personally love the small dog in the right hand corner. It is now on the floor against the wall most of the time ever since it fell off the wall last year, maybe a museum could keep it up!